Live life to the fullest with yummy recipes, money-saving tips, and crafting fun. I’ve been craving red meat recently. Not super surprising since I don’t eat it very often. We tend to eat a lot of chicken and fish so when a red meat meat craving hits, it can hit pretty hard. I was really in the mood for a Brazilian Steakhouse so I challenged myself to recreate it at home! I made a super simple 2-in-1 marinade and sauce for the meat, invited a few friends over, and had a proper grill-out, Brazilian style! The steak was incredibly flavorful and fully satisfied my craving! I hope you’ll try this recipe because it really knocks it out of the park! 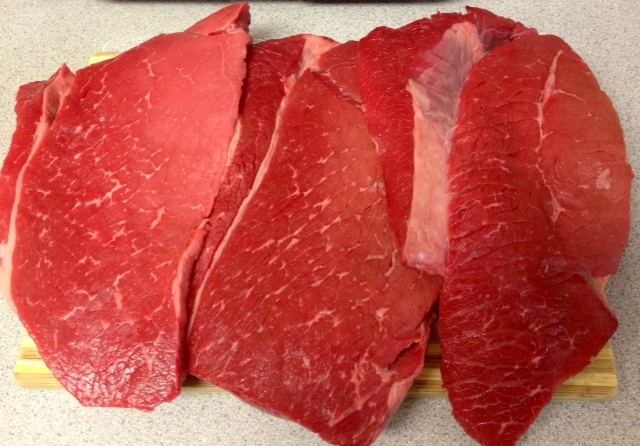 I used London Broil but you can use also use flat iron, top sirloin, or really any cut of meat you like to grill. 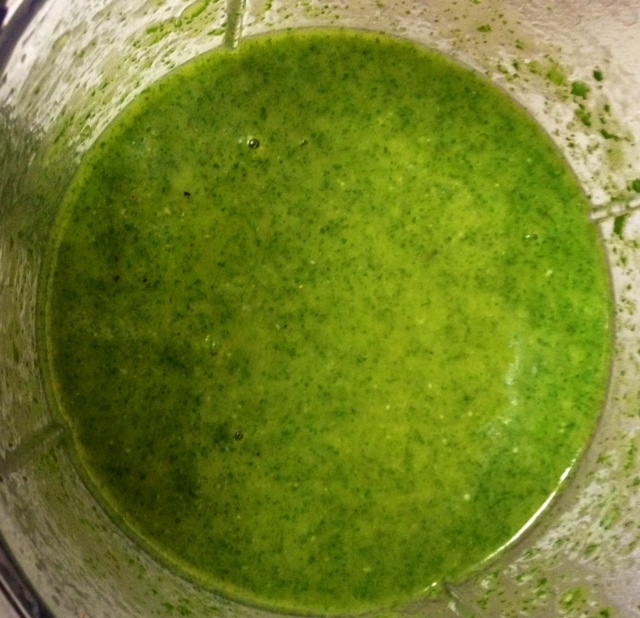 In a blender, add cilantro, garlic cloves, kosher salt, pepper, sugar, olive oil, red wine vinegar, water, lime juice and zest. Blitz until smooth. Reserve 2 cups to use as a marinade for the steaks and pour the rest of the sauce into a storage container and refrigerate until ready to serve. Place meat in a large casserole dish or large storage container. 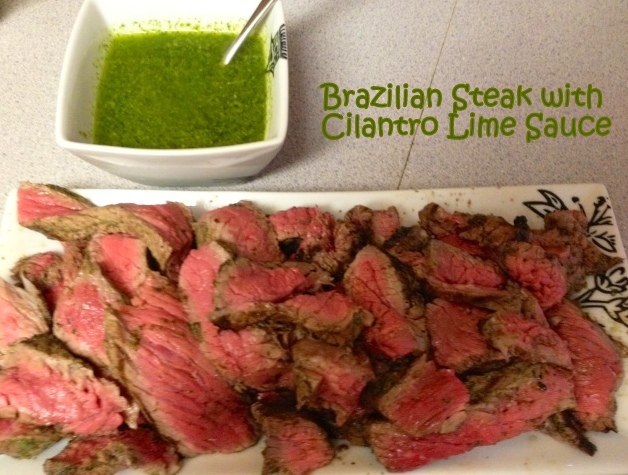 Pour 2 cups of the cilantro marinade over the steaks, making sure both sides are well coated. 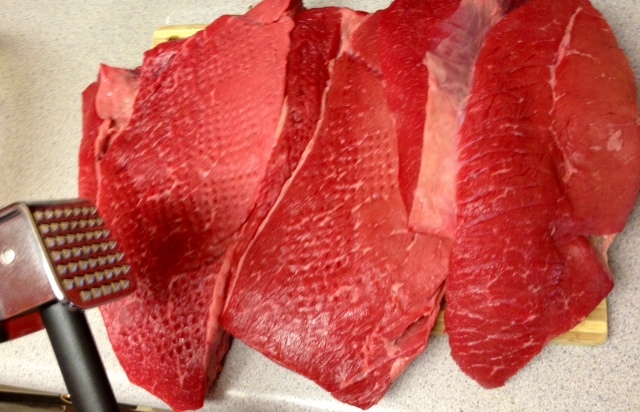 Seal container with lid or cover with plastic wrap and marinate in the refrigerator for 4 hours minimum. 6-12 hours is ideal since this marinade will work some serious magic on even the toughest cuts of meat! After the meat is done marinating, it’s time to grill! 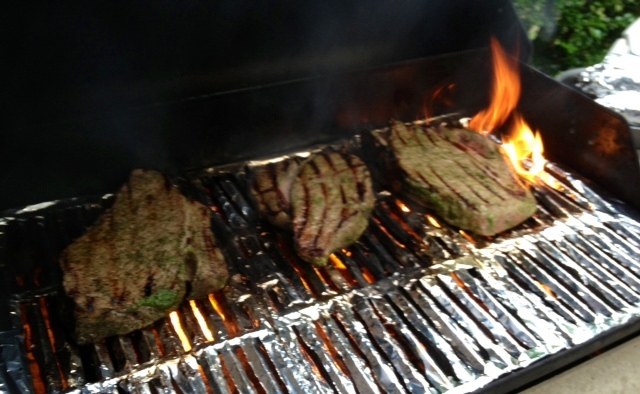 Aim for a medium-high heat and then throw the steaks on when nice and hot. I love a medium rare steak so it took about 20 minutes (10 minutes per side) to achieve that. Cooking time will vary depending on the grill, steak cut, thickness, and desired internal temperature so keep that in mind and be sure to keep a close eye. This is where having a grill-safe meat thermometer comes in super handy! Once you’ve removed the meat from the grill, slice at an angle in thin strips. Be sure to slice with the grain since slicing against the grain will results in chewy meat. 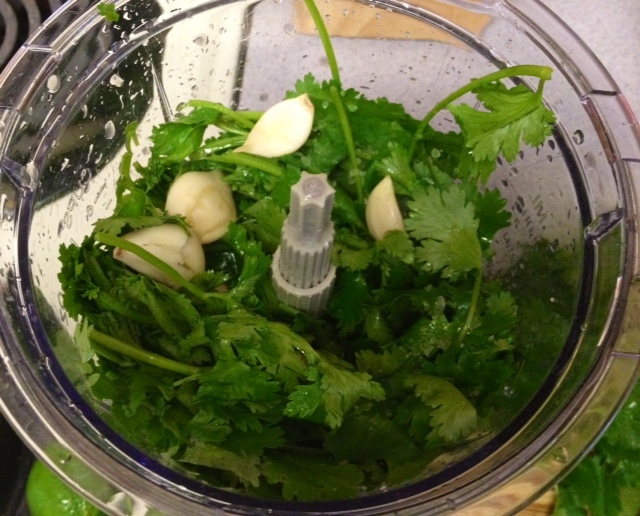 Pile the sliced meat on a plate and serve alongside the remaining cilantro sauce. I put the sauce in a big bowl and just let my guests drizzle as much or as little as they liked. 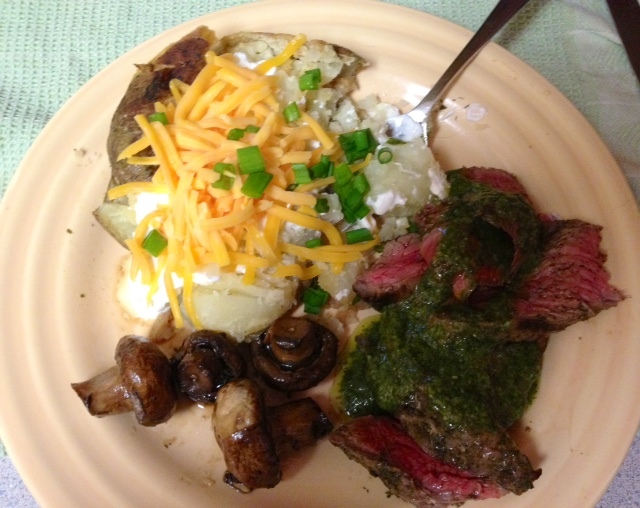 This dish was a huge hit and the steak was gobbled up in no time! I’ll definitely be making it again but will plan on leftovers next time as the meat would be great the next morning transformed into steak and eggs and for lunch as a nice steak salad or wrapped up in warm tortillas as fajitas. I did have cilantro sauce left over though, so my plan is to transform some boring tilapia later in the week into something a little more festive. I love recipes that keep on giving and this one really knows how to do exactly that! Enter your email address to subscribe to missbutterbean and receive notifications of new posts by email. 50 Kickin’ Super Bowl Recipes!